North Carolina State's Garrett Bradbury is this year's recipient of the Rimington Trophy, awarded annually to the nation's best center. Garrett Bradbury grew up hoping to be a professional baseball player. He ultimately chose football for college, but wasn't exactly a highly recruited athlete in that sport coming out of Charlotte Christian High School in North Carolina. He attracted only three FBS scholarship offers — from North Carolina State, Colorado State and Charlotte. The 6-foot-3, 300-pound Bradbury, who just completed his college career at North Carolina State, on Saturday night in Lincoln will don a tuxedo and receive the Rimington Trophy, awarded annually to the nation's best collegiate center. Not bad for a three-star recruit who made two position switches in college before he found his true home. And not bad for someone who spent much of his childhood concentrating on baseball. In fact, Bradbury is a prime example of why playing multiple sports can be beneficial for young athletes. "So the N.C. State tight ends coach came out to my baseball practice that spring and recorded me running bases, taking ground balls and taking batting practice. He went back and showed it to the head coach, and the next day I got an offer." It's all worked out fabulously. 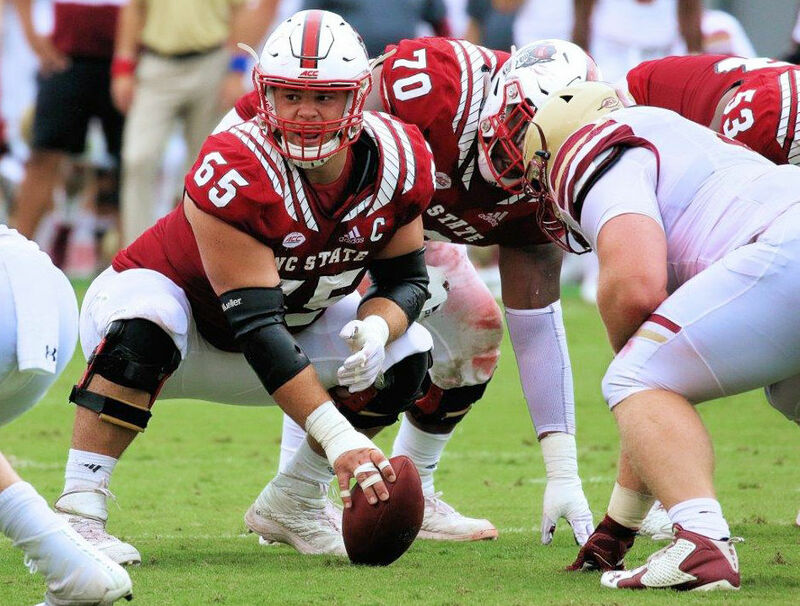 A fifth-year senior in 2018, Bradbury anchored an N.C. State offensive line that helped running back Reggie Gallaspy rush for 1,012 yards and quarterback Ryan Finley throw for 3,789 as the team finished with a 9-4 record (5-3 ACC). "I wouldn't have been at N.C. State if it wouldn't have been for baseball," Bradbury said. His rise as a center highlights a couple of other vagaries inherent in college football. One is that recruiting rankings can be extremely misleading. Another is that some players skip around a bit before finding their right position. Many players struggle because they're not playing the right position. 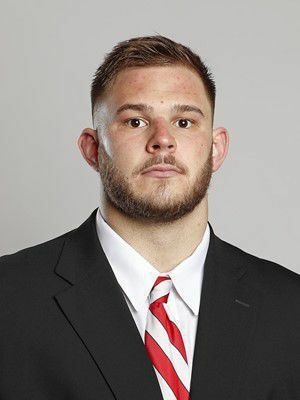 To wit: Bradbury spent his redshirt freshman season at N.C. State in 2014 as a tight end. He didn't get many reps in practice as he battled a shoulder issue. Because of depth issues along the defensive line, he moved to tackle during the bowl season and spent the following spring there. Then, in August before the 2015 season, he was called into Wolfpack head coach Dave Doeren's office. The message: He was moving to offensive line. "I was like, 'All right, whatever, I just want to play,'" Bradbury said. After playing a backup role in 2015, he started 13 games at left guard in 2016 before moving to center in 2017. He started every game at center the past two seasons, with N.C. State winning nine games in both years. He recognizes the unique nature of his journey to the moment Saturday night when he is handed the Rimington Trophy, named after former Nebraska great Dave Rimington, the only player to win the Outland Trophy in consecutive years (1981 and ’82). "If you told me in high school that I was going to play center in college, I would have been like, 'All right, where am I going to play baseball?'" Bradbury said. "Don't get me wrong. I absolutely love the position and everything about it. But telling a high school tight end and baseball player he's going to play offensive line, it's not the most attractive sounding alternative." Bradbury chuckled as he reflected on a comment from former N.C. State offensive line coach Dwayne Ledford. "He says, 'Not many kids choose to play offensive line; offensive line chooses you,'" Bradbury said. "Yeah, it's kind of corny, but there's really some truth to it." He'll soon have a prestigious trophy in his hands to drive home the notion. What: Presentation of the Rimington Trophy to the nation's outstanding center, North Carolina State's Garrett Bradbury.